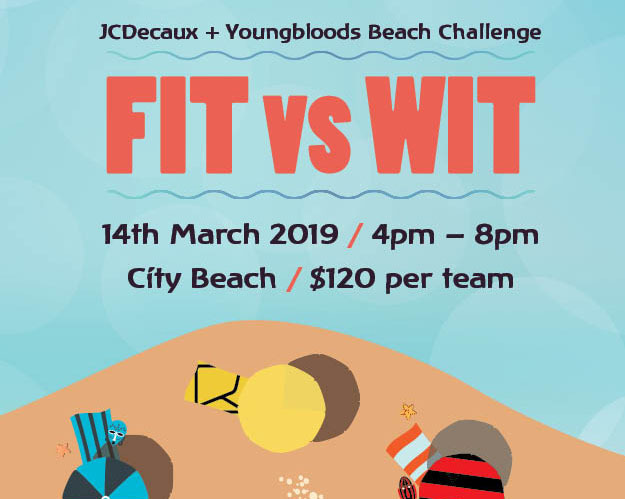 Agency tribes will battle it out in a test of fit vs wit at the JCDecaux & Youngbloods Beach Challenge, Thursday 14th March. Get ready to master your slingshot technique, sprint on sand, and solve riddles to find lost treasure in a series of mental and physical challenges by the sea. There will also be a BBQ and drinks afterwards to celebrate while we watch the sun go down together (#cute). Register your tribe (10 people per team, but we can help with spares if you need) via this link now. Entry is $120 (excl. GST). Hurry, we only have room for 12 tribes. Once you’ve registered, we’ll send you through your lucky tribe colour. WHEN: Thursday 14th March, 4pm-8pm. REGISTER YOUR TEAM OF 10 BY: 5.00pm, March 13. The challenge is on – only one tribe will reign supreme.